Gentrification is arriving at a more leisurely pace than in its immediate neighbor to the south, Williamsburg; Greenpoint’s creative class incursion being subtle, almost assimilative, as compared to their Jean Paul Belmondo-idolizing ‘hipster’ counterparts in W’burg. Gary is a true icon in the worlds of design and documentary cinema. An omnivorous autodidact. It’s hard to overestimate the impact of his seminal design doc trilogy—Helvetica, Objectified, and Urbanized. For many, these films sparked a lightbulb moment, revealing the overwhelming impact design has on our day-to-day lives. Your sister’s Dwell subscription. Your mom’s Pinterest page. Hustwit is one of the people responsible for this broader awareness of, and appreciation of, design itself. Plexifilm re-released seminal arthouse pictures including Finisterre and Style Wars, as well as several music documentaries. This led to them working as a sort of ‘production company for hire’ on several music docs, beginning with the Wilco documentary, I’m Trying To Break Your Heart. 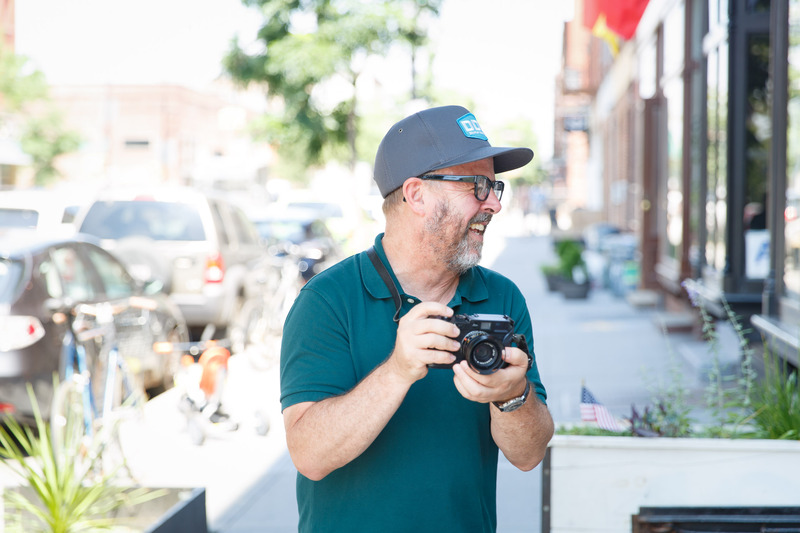 Thanks Gary for showing us your studio in Greenpoint and sharing your incredible work with us. For more information on the upcoming documentary film on Dieter Rams, see here.